Saudi Basic Industries Corporation (Sabic) said it has joined hands with US-based Celanese Corporation, a global technology and specialty materials company, to start work on its 50,000-tonne polyacetal plant in Jubail Industrial City, Saudi Arabia. A leading chemical conglomerate Sabic said the move comes as part of the duo's plan to expand the existing operations of $387-million Ibn Sina Complex. Ibn Sina is a joint venture between Sabic and CTE, a company jointly owned by subsidiaries of Celanese and US-based Duke Energy. 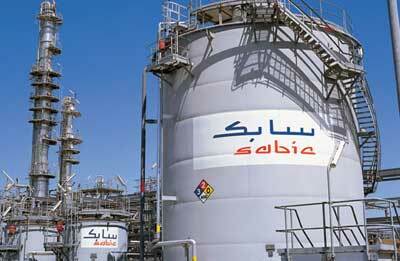 Celanese, Sabic and Duke Energy entered into the Ibn Sina joint venture in 1981. Subsidiaries of Celanese and Duke Energy each currently hold a 25 per cent ownership interest in the joint venture, with the remaining 50 per cent held by Sabic. With the facility successfully completing the performance runs for all polyacetal grades and achieving full production rates, Sabic has officially begun commercial operations at the new plant, said the company in a statement to Saudi bourse Tadawul. Polyacetal is a differentiated, high value-added product mainly used in automobile and electronics industries in addition to mechanical and construction manufacturers and other industrial applications, it stated.